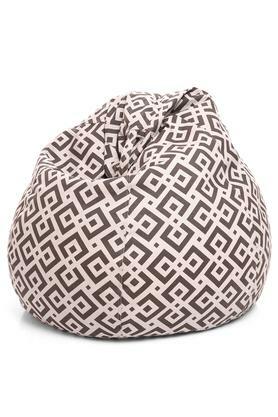 Some bean bags are made to stare, this bean bag with fillers from Style Homez is Just the thing at Home. It has been crafted with cotton canvas material which will make your senses relax to the max. Besides, it comes with geometric print which will refresh your living rooms look. Dimension - 64 X 64 X 91 cms. This bean bag will surely increase the glam quotient of your living room.